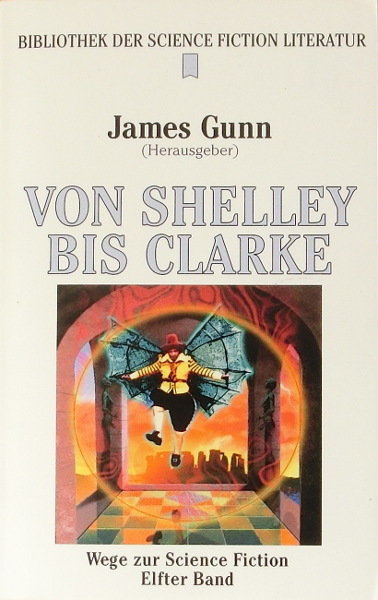 First edition of this selection ("Deutsche Erstausgabe" is stated on the title page and on the back, "Deutsche Erstausgabe 10/2000" is stated on the copyright page). It is the first part of "The Road to Science Fiction 5". The copyright is assigned for the the year 1998 to James Gunn. The copyright of most of the translations is assigned for the year 2000 to the publisher. "Printed in Germany 8/2000" is stated on the copyright page. The table of contents is printed on pages 5-8. The last page of the final shortfiction (p. 543) is unnumbered.